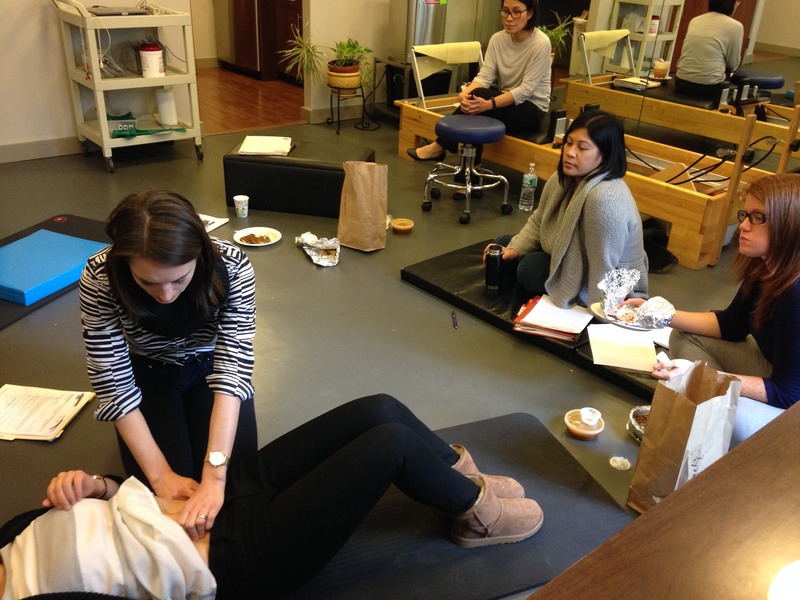 Yes, you read that right: We’re doing another semester of our very successful School of Pelvic Health! 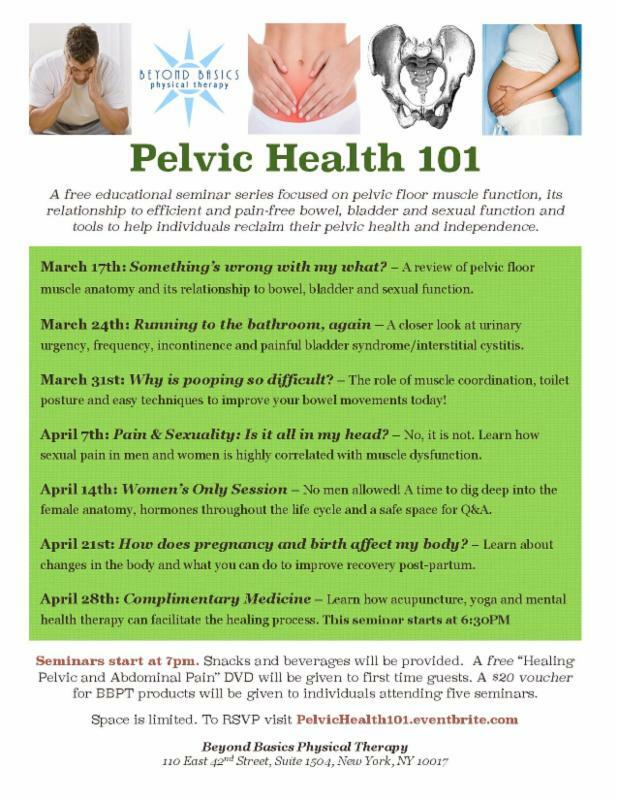 Starting on March 17th, our own Stephanie Stamas, PT, DPT, will lead you through seven weeks of FREE classes related to pelvic health. These include but are not limited to a review of pelvic floor anatomy (March 17, “Something’s Wrong With My What?”), sexuality and pelvic health (April 7, “Pain & Sexuality: Is it all in my head?”), and much, much more. See the flyer below for more classes (click to enlarge). At each session, snacks and beverages will be provided, and a $20 voucher for BBPT products will be given to individuals who attend five or more classes. First-time participants will get a FREE copy of Amy’s new DVD, Healing Pelvic and Abdominal Pain. If you’re interested in attending our School of Pelvic Health classes, you MUST sign up by RSVPing at this link. Spaces fill up quickly, so be sure to do it soon! If you have any questions, please feel free to give us a call in the office at 212.354.2622. We look forward to seeing you there! 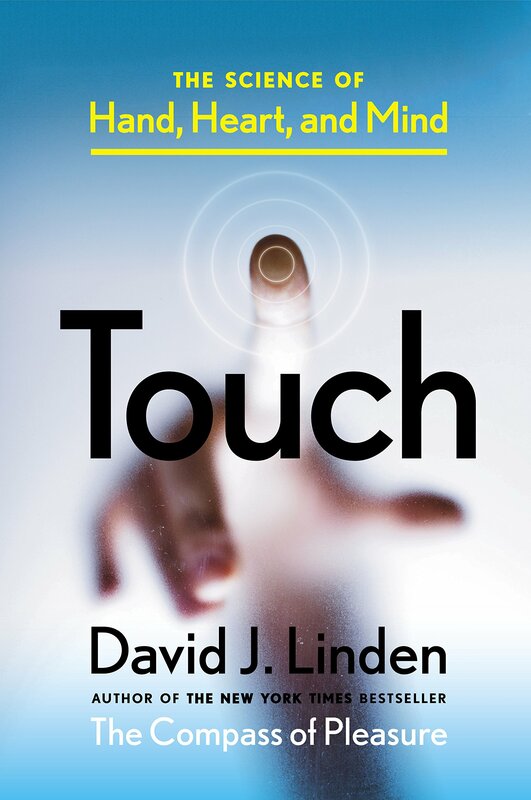 In his new book Touch: The Science of Hand, Heart, and Mind, author David Linden explores the way the brain, the skin, and the nerves interact to create pleasure and pain. In this interview with NPR, Linden discusses the way anti-anxiety medication can affect chronic pain, in that the former can partially reduce the latter. In many cases, Linden says, anxiety can trigger more chronic pain. So if you have less anxiety, he suggests, maybe you can have less pain as well. What do you think? Have you ever been prescribed anti-anxiety medication for chronic pain? If so, how did it work for you? 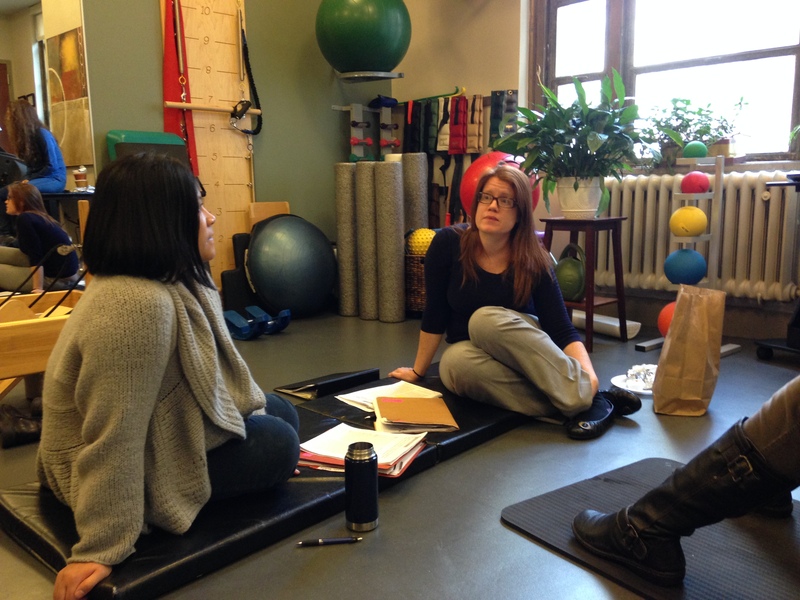 Our famous Dania Kafka, who is an amazing physical therapist and Pilates instructor, recently discussed alignment, posture and core exercises correctly at our latest PT In-Service. She helped us with proper cueing because we don’t want pelvic pain patients to utilize the pelvic floor muscles, or limit their use, with any core stabilization exercises. We went over how to gently engage the transverse abdominus, which is one of the core muscles and helps with pelvic and trunk stability. If this muscle is weak and the patient is overusing their pelvic floor, they can end up with pelvic pain. Core and trunk muscle imbalances can be one of many reasons a patient ends up with pelvic pain and/or pelvic weakness. Therefore, it is important to have a strong and balanced core. Dania proceeded to lead us through a series of transverse abdominus exercises that were adapted by Shirley Sahrmann, PT, and we incorporated diaphragmatic breathing with each exercise. We practiced neutral spine versus posterior pelvic tilt to compare the difference, and discussed with which populations we would use which position. With any pain condition, if there are active trigger points, tightened and/or shortened tissue, you need to address these impairments prior to strengthening these muscles. Otherwise you can exacerbate trigger points and continue to shorten tissues. It is essential to make sure these conditions are resolved prior to starting a core exercise to that specific area. With regard to pelvic floor weakness, including incontinence and post surgical weakness (prostatectomy, prolapse, etc. ), it is important to strengthen the pelvic floor muscles correctly and the transverse abdominus correctly, as well as the rest of the core muscles. Monitoring each patient with each exercise, is essential for their recovery, in order not to worsen any condition. Starting slow and in a controlled environment is key. If you have any questions with regard to Pilates and core exercises and when to introduce them for pelvic pain, or pelvic weakness, feel free to call us and ask for any of our PTs. Or, attend our upcoming Pelvic Health 101 this spring!